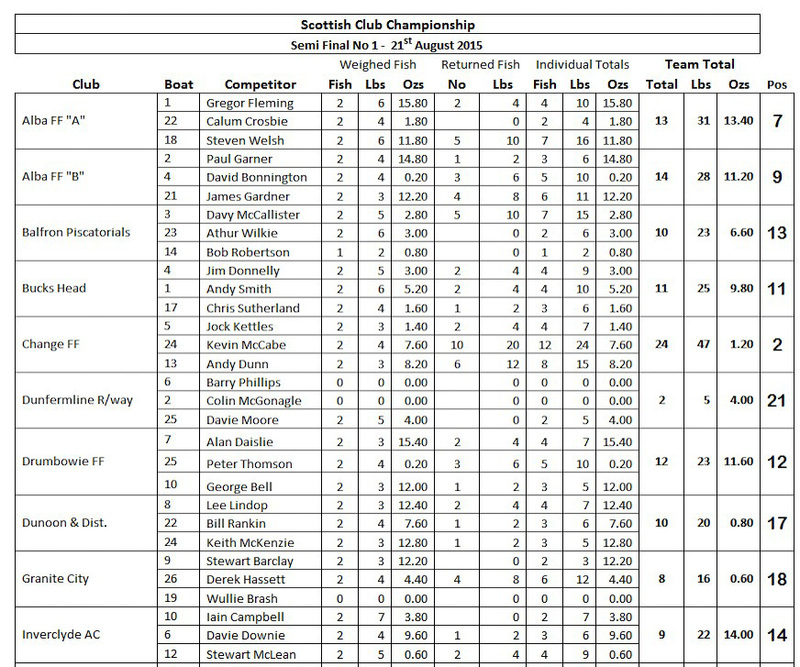 Lee Lindop, Keith McKenzie and Bill Rankin came 17th out of 21 clubs taking part. It was a hard days fishing to this level of competition angling against the very best (21 teams were competing, including 5 previous winners), as can be seen by the result chart above. First place (not shown here) won with 25 fish, 2nd, 3rd and 4th places with 20 fish. The weather was not always kind to the angler, some rain, flat calm – strong breeze – small ripple and strong sunshine. All had to fish with barbless or debarbed hooks with the first ten places up for grabs. Unfortunately a member of our team had his fly rod broken and could not fish thereafter. Ahh … just another three fish ! !